Energy is central to nearly every major challenge, and opportunity the world faces today. Be it jobs, security, climate change, food production or increasing incomes, access to sustainable energy for all is essential for strengthening economies, protecting ecosystems and achieving equity. In recognition of the importance of energy access for sustainable economic development, the United Nations General Assembly has designated 2012 as the International Year of Sustainable Energy for All. SFIP looks forward to supporting the MicroGrid Work Group of the U.N. Foundation’s Practitioner Network, and the Sustainable Energy for All initiative. The MicgroGrid program, which is already being assisted by the U.S. Dept. 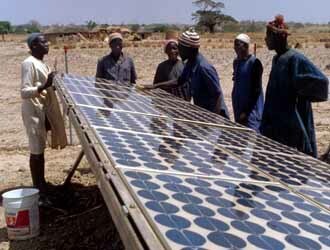 of Energy, is designed to deploy functioning microgrids at a rapid rate throughout the developing world. As such, it represents a perfect “proof-of-concept” for many of SFIP’s key methods, especially the development of community-scale solutions that can be diffused and scaled for global impact on systemic challenges. We can’t think of a better way to start 2012.